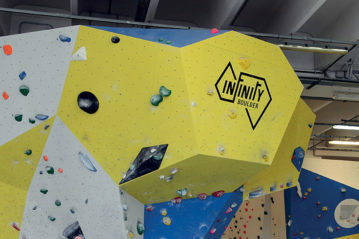 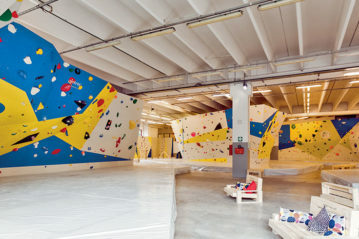 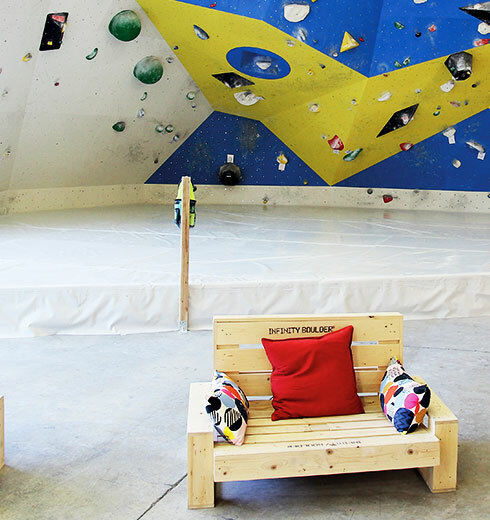 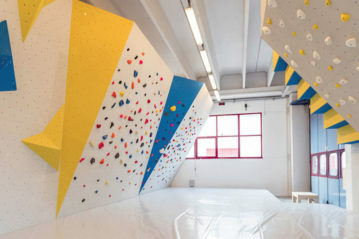 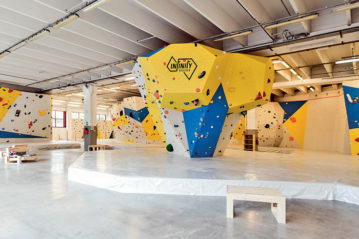 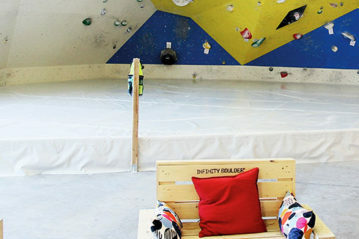 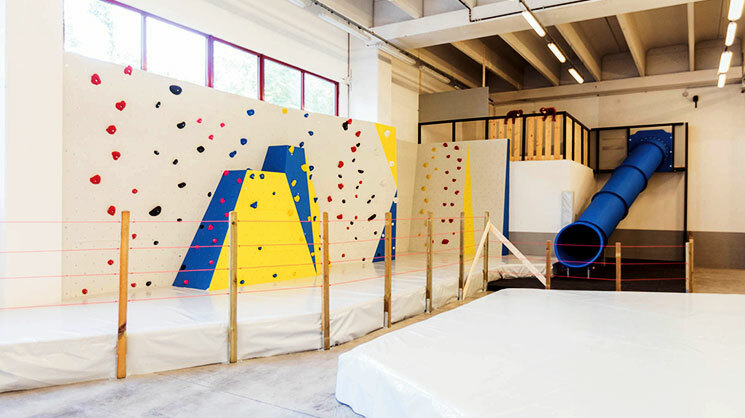 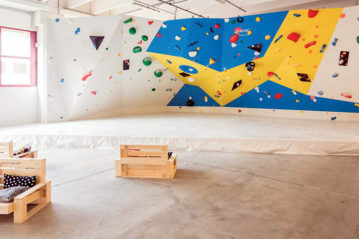 In the southern suburbs of the city, one of the largest bouldering gyms in Europe has been built, with 860 square metres of walls and newly designed safety mattresses. 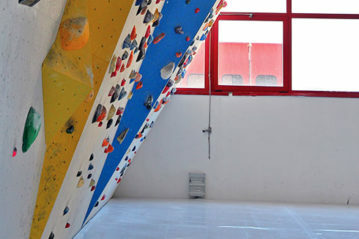 The great extension that can be climbed is not at the disadvantage of liveability, ample space is left for moments of rest and meeting between enthusiasts, responding perfectly to the need for aggregation of the community of climbers. 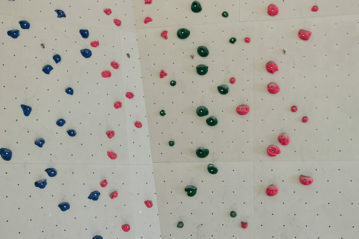 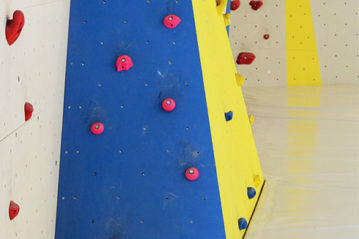 The centre offers walls of all sizes to all enthusiasts, from beginners to those seeking a new form of fitness, from champions in training, up to the game of climbing for children. 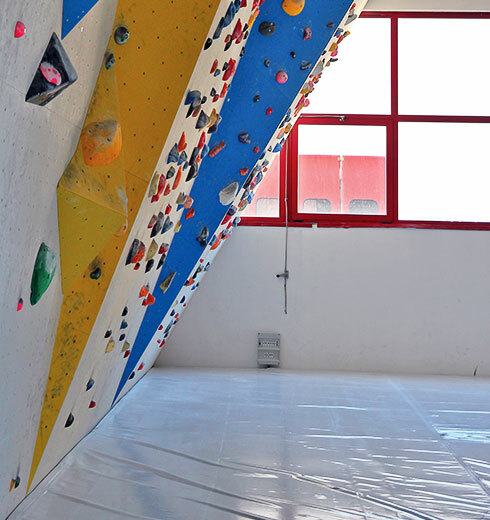 You can go from the inclined plates where you can learn the first movements or learn to climb on micro-tracks in search of unusual balances, to the overhanging ones where every centimetre you climb is a battle against gravity. 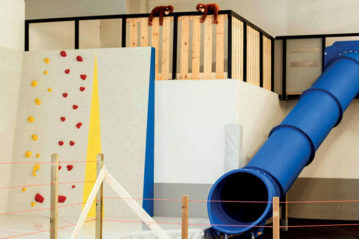 In addition to the walls distributed along the perimeter walls of the building, a series of self-supporting “mushrooms” enliven the environment, offering new opportunities for climbing on edges and prows. 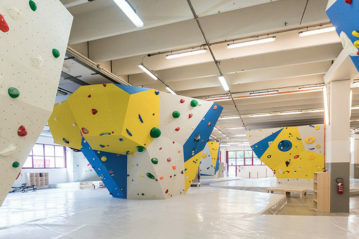 The inclination and morphology of the walls have been studied in minute detail “at the drawing board”, entirely drawn by computer in 3D, the panels cut to the pantograph CAD CAM, and the steel frames prefabricated in the workshop, then reconstruct the walls on site as planned. 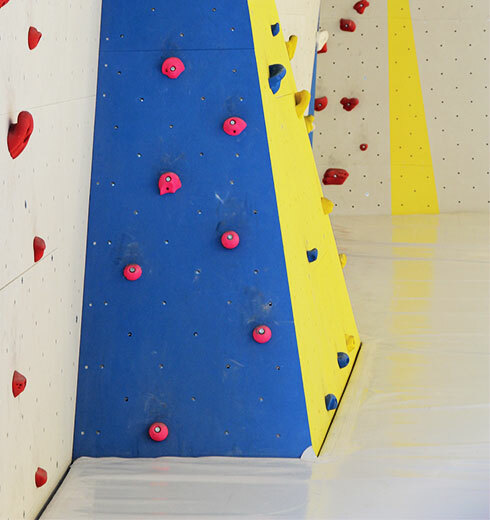 The climbing panels are made of 18 mm birch plywood, coated on the front face with Dura Finish, a rock-like finish that couples epoxy resin films with layers of quartz sand and ensures high “friction” to the climbing shoes, high wear resistance and easy cleaning. 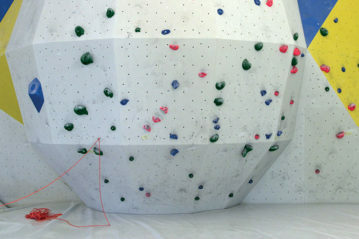 The new negative volumes are integrated in the panels, which allow the type of movement available to the setters to be extended.